The Mt. Hebron church of Christ, located near the small town of Eclectic, AL, is a group of believers in Christ whose hearts are set on worshiping and living in accordance with God's inspired Word and precepts. Because of this, we make it our aim to love our community and all those with whom we come in contact and especially our Lord and Savior, Jesus Christ. Whether it is through our worship services or our actions towards our fellow man, we aim to glorify the Creator in all that we do, say and believe. Jesus established His church on the Day of Pentecost, approximately A.D. 33 (Acts 2) just as He had promised (Matthew 16:18) when 3,000 persons repented of sins and were baptized into Christ for the forgiveness of their sins. (Acts 2:41) This was just 49 days after Jesus' resurrection from the dead and 10 days after His ascension back to heaven. The number of disciples quickly grew to fill Jerusalem, then Judea, Samaria and finally to the entire Roman Empire (Acts 1:8; Acts 4:4; 5:14; Colossians 1:23). After the first century, the believers became divided as false doctrines began to overthrow the truth of the New Testament. Over time, those identifying themselves as Christians were divided into the world of denominationalism that we know today. Throughout the centuries there were a number of movements to return to the pure teachings of the inspired writers of the New Testament, but most of these were snuffed out without leaving a lasting change. The Reformation Movement of the 1500s brought changes in the religious world, but failed to fully restore New Testament Christianity and eventually created the denominational system that dominates nominal Christianity today. In the 1700s another movement began with the idea of going back beyond all the divisions and fully restoring the church as it was designed to be by Jesus and unveiled by His inspired Apostles; removing divisions and restoring the unity for which Jesus prayed (John 17). This movement reached America in the late 1700s and became the major religious movement of the 19th century. From this movement came the people known as the church of Christ ... those who belong to Christ! The church of Christ is noted for its emphasis upon returning to New Testament Christianity and for its desire to unite all Christians into one body (1 Corinthians 1:10). We believe that the New Testament is the only rule for faith and practice in religious matters (2 Timothy 3:17; I Peter 4:11) and that it must authorize all that is done in Christian worship (Colossians 3:17; Revelation 22:18–19). Thus, we try to strictly follow the New Testament. For this reason, only A Cappella music is used in worship assemblies and the Lord’s supper is observed every Sunday. We believe the Bible teaches that sinners are saved by grace (Ephesians 2:1-10) when we trust that Jesus is the Son of God (John 8:24), repent of sins (Luke 13:3), confess our faith in Jesus (Matthew 10:32,33) and are baptized into Christ for the forgiveness of sins (Matthew 28:18-20; Mark 16:15,16; Acts 2:38; Romans 6:3-13) and that a Christian must remain faithful to the Lord after conversion (Revelation 2:10). Each local congregation of the church of Christ is organized with elders, deacons, preachers, and members as in New Testament times (Philippians 1:1). We believe that Jesus is the Son of God (John 20:30–31), that the Bible is inspired of God (2 Timothy 3:16–17), and that Jesus will return to take His kingdom (church) home to God (1 Corinthians 15:24). We emphasize sincere worship (John 4:24), every- member evangelism (Acts 8:4), godly living (Titus 2:11–12), love for each other (John 13:33–34), and helping those in need (James 1:27). We believe that it is possible to have religious unity in a day of division by simply following the New Testament pattern and putting aside human traditions. To put it simply, the Mt. Hebron church of Christ is seeking to be the same church one reads about in the New Testament. We aim to restore its doctrine, its practices, its lifestyle, and its zeal. As individuals, we are not perfect, we are not superior, but we are seeking to be followers of Jesus Christ in spirit and in truth (John 4:24). 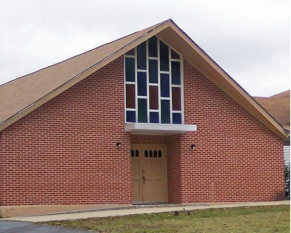 The Mt Hebron congregation of the church of Christ began in 1951 with an initial membership of three; Walter Thompson, Exa Barker and Pearl Spivey. In those early days, the church met in the home of Oscar and Exa Barker. Beryl and Pearl Bodenham, Exa Barker, and Nesbie Mask (a new member who often held Wednesday night services in her home) went from house to house encouraging people to worship with them. Lamar Thornton, a member of the Chisholm church of Christ in Montgomery, heartened by the number of people in this area who wanted to learn the truth, suggested that a tent be erected for future meetings. During the summer of 1953, continuous tent meetings were held with Brother Bodenham conducting the services and Brother Thornton leading the singing. Joe Greer, another member at Chisholm, and Brother Thornton were in charge of moving the tent from place to place. Ed Holt, the minister at Chisholm, was also very instrumental in the early work in the area. Brother Bodenham transported people to services in his car. When there was additional need, the Chisholm congregation loaned a bus to Brother Bodenham. There were baptisms almost every week. When the Barkers' house overflowed, Brother Greer and others built the first structure (end of 1953) on land given by Carl and Margaret Barker. The Chisholm congregation helped finance the building. An addition to the building was constructed in 1985, providing extra classrooms and a fellowship hall. After the success of Vacation Bible School in 1991 and 1992, more classrooms were added in 1992 to accommodate the young people who desired to attend church regularly. In 1998, a new auditorium, nursery, and other facilities were added to the existing structure. Due to the generous contributions of our members and managerial abilities of our leaders, the mortgage for these additions was paid in full in May, 2007. The original auditorium now serves as a classroom and area for fellowship activities. The old nursery now serves as office/library with a large number of useful books, computer, copying machine, etc. A large cemetery is located on the church property. A German prisoner who worked on Joe Greer's farm during World War II painted the scenic oil picture that originally hung in the baptistery and for many years hung in the classroom/fellowship area.. The painting was seriously damaged by water and no longer is suitable to be displayed, but it still reminds us that some beauty can emerge from the ugliness of war. Beryl Bodenham, Jim Sasser, Vance Crowe, George Manning, and Beau Greer served as ministers at Mt Hebron from 1952 to 1960. Reginald Anthony (now deceased) served as our minister from 1960 to 1998 and also as an elder from 1991 to 1998. Students from Faulkner University often serve our congregation as assistant ministers in the areas of preaching, teaching, and singing. Scot Jones (now deceased) was an assistant from January-July 2001. Others who have served in this capacity while students at Faulkner University include David Nance, Mike Jones, David Barker, David Ogden, Luke Suggs, Jon Podein, Scott Schifferd, Letson McCoy, Aaron Pettus, Andrew (Gif) Gifford, Tim Mann. and Andrew Coker. Most of these, having completed their degrees, are now serving other congregations. Current student song leader is Ruben Seibert. Carl Barker, one of the original elders, passed away in 2008. Brother Barker had also served as song leader for many years. Jim Schumacher, who was an elder for many years, passed away in July 2007. He was responsible for starting our Vacation Bible School and the Daily Bible Reader program. Ed Walker, who arrived in 1992, presently serves as our preacher (since 1999). Tim Mann joined us as an additional preacher January 1, 2019. First Wedding: Christina Harris and Roy Lawrence, Jr.